What does Freddy Krueger do when he's visiting Walt Disney World? Hop on a Doom Buggy and ride the Haunted Mansion of course. 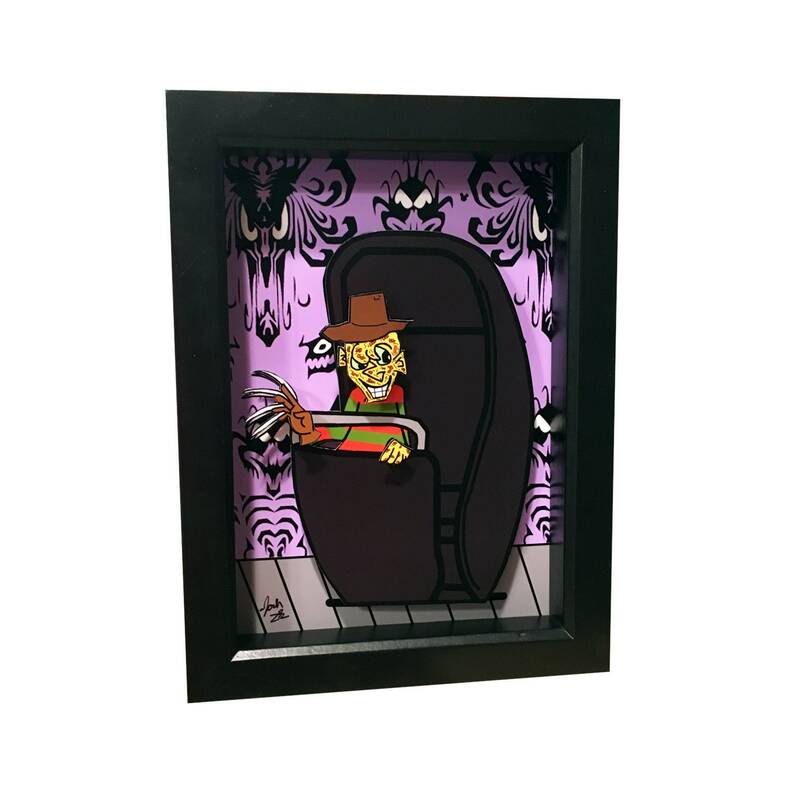 The paper cut Freddy Krueger and Doom Buggy are rendered in 2D while Freddy's face, glove and hand are in 3D.